EASTERN EQUIPMENT, INC. is an exclusive Honda engine distributor servicing over 1000 dealers throughout New England and New York. 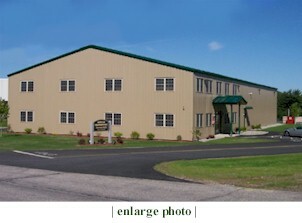 From our new state of the art office and warehouse complex in Derry, New Hampshire we supply dealers with marketing, parts and service support. Honda is pleased to announce that Honda GX-series engines greater than 97cc and GXV engines greater than 200cc sold at retail or placed into rental service on or after January 1, 2009, will carry a full 3-year Distributors Limited Warranty. Honda Engine warranties prior to and after January 1, 2009 in English & Spanish are available for download by clicking the Honda Brochure link below or the link to the right. dealer locator on this site to locate the dealer closest to you. EASTERN EQUIPMENT DOES NOT SELL TO RETAIL CUSTOMERS.